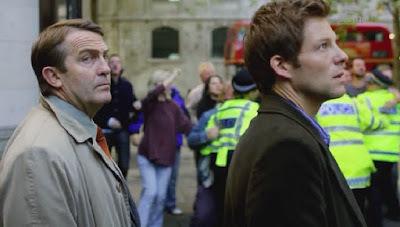 This second episode of Law & Order UK was titled “Unloved,” but I loved it. This was based on the original Law & Order episode titled “Born Bad” from season 4. I thought they did a fantastic job with the story, with Richard Wisker, who played the troubled boy Jono, giving an exceptional performance. It also showed a soft side of some of the cast members, and possible the harder side of others. Ronnie Brooks (Bradley Walsh) was moving when he had to tell a woman that her son had been killed, and James Steel was touching as he tried to help Jono at the end of the episode. Some may scoff at James Steel and the segment of the story where a woman who is a past love of his is defending the case – since Daniels is openly gay some may not find the scenario believable. But acting is acting, and if straight people can act in gay roles, the reverse should work equally well. And for Daniels and the character of James Steel, his past fling coming back to defend a case he is prosecuting added some extra tensions to the case. Devlin (Jamie Bamber) was channeling his inner “Mike Logan” when he indicated he might have been the victim of a physically abusing parent. And Devlin also seems to be a little quick to judge and a little quick tempered. 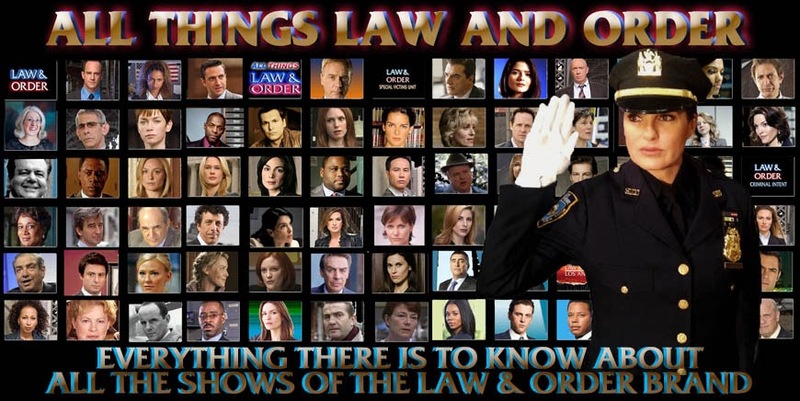 Those are the things that made Mike Logan in the early days of Law & Order such an interesting character, and I think Bamber pulls it off very well. I wonder what it would be like if major US cities had cameras blanketing the area as they have in London. It really seems to help them to solve crimes. It is a little creepy, though, thinking someone can virtually watch your every move in public. I thought this episode was very well done and I hope that some day soon, US viewers will be able to see this series, as I believe they will enjoy it. Reverend Crawford (Victor Power) is running a shelter near Euston Station, he is handing out soup when sees someone lying against a wall in the distance. He goes to investigate and finds a 13-year-old boy who is dead, apparently beaten or kicked to death. He yells and runs for help. Later, DS Ronnie Brooks (Bradley Walsh) talks with the Reverend, and DS Matt Devlin (Jamie Bamber) tells him there is no ID. It appears the boy is a runaway. Later, they check CCTV videos for Euston Station, but he didn’t appear to come out of the station so they assume he is a local. They go back to the shelter to see if they can get any information. One of the women asks Devlin, “Do you always smell so minty?’ But, she doesn’t recognize the boy. Devlin notices her tattoo from a local gang; she got it before she got the job at the shelter. She directs them to her old hang out and the detectives head over to the basketball court to question some of the people playing there. Devlin attempts a shot at the hoop and misses badly. The man playing basketball says the boy wasn’t killed by the gang, the boy was in the “neutral zone” and no one gets touched there. As they walk away Devlin complains about how “bloody tribal” the groups are, and Brooks tells him rivalry between kids is nothing new. When Devlin says he never carried knives or guns, Brooks says kids haven’t changed, society has. At the medical examiner’s, he tells them the boy is thirteen; he has cracked ribs, a punctured lung and a rupture spleen. He thinks he walked around that way for an hour. There is no evidence of sexual assault, just blunt force wounds, from steel toe capped boots or shoes. There are no tattoos or gang markings. The medical examiner adds there is no way the boy was living on the street, he was well looked after and well fed. His last meal was polenta and roasted vegetables. Back at the unit, they review their findings with Natalie Chandler (Harriet Walter). She wonders where the parents have been in all this. Brooks tells him there are no leads so far, no missing persons and no fingerprint or DNA matches. Devlin enters and said they just got a hit from the media appeal, a Mrs. Lee, a teacher in Kilburn. The detectives speak to Mrs. Lee (Tracey Wiles) at St. Thomas Academy, she identified the dead boy as Danny Jackson. He was a shy kid with dyslexia. She has an address for his mother, but it’s old, she moved 6 months prior because she had a new boyfriend. She never noticed any bruises on the boy. She adds that they boyfriend is a bookie at the Wimbledon Dog Track. At the dog track, the boyfriend Stevie (Neal Barry) said Danny’s mom moved out 3 months ago. The kid was trouble, but Stevie didn’t leave her over it, Mandy had left him, She also ripped him off. He tells the detectives that Mandy is in rehab. At the Rehabilitation Unit in Holloway, they speak with Mandy (Nicola Stephenson). She’s been clean for three months. Brooks enters the room alone, and while Devlin watches outside the door, Brooks tells Mandy what has happened to her son. We can’t hear them, but we see Mandy is clearly distraught over the news. Brooks consoles her, and Devlin sadly looks on. Back at the morgue, they look upon Danny’s body, and Mandy tells them that Social Services says she was not fit to be left alone with her son. They took him away, and she told Danny he would be safe and be looked after. She asks them to bring him back, and Devlin says they will get whoever did this. At the Social Services Office, they are told by a social worker that they had noticed Danny had gotten some bruises. She hand them Danny’s file, and tells them Danny was placed with a foster parent, Phoebe Baxter (Joanna Hole), and Brooks wonders out loud why she didn’t report Danny missing on Friday night. Later, at Phoebe Baxter’s home, she said had she told Social Services that Danny was missing they would have taken him away from her. She says her home is not prison, she doesn’t tag the kids. She also seems to have other kids there. She says after school they had dinner and afterwards Danny went to the cinema with Jono (Richard Wisker) and Andy (Steven Hardwood-Brown). They question the two boys outside while they move a trampoline in the yard. Andy seems to be reluctant to talk. But Jono is talkative, saying he doesn’t think Danny was homesick, and Stevie had been hitting him, Danny showed them the bruises. The detectives had Stevie at their unit, questioning him. He said he was watching the telly that evening, Debbie was with him, and Danny never came around. Devlin says he knows people like Stevie, people who lie about hitting kids. Brooks looks at him with a bewildered expression. Devlin says right now they are going through all the CCTV footage in his borough, uniforms are searching the area and forensics is going through his flat. Stevie insists he never hit him. Brooks speaks up, and says a uniform found a cell phone, and shows him Danny’s mobile phone that was found just across from his flat. Stevie continues to insist he did not kill Danny. Afterwards, outside interrogation and talking with Chandler, Devlin says that Phoebe’s other kids confirmed that Stevie hit Danny. Devlin is getting a little riled over the matter, saying Stevie has motive. But Brooks reminds him the kids said they only saw the bruises, nobody saw the beating and it doesn’t prove he is a murderer. Devlin's agitation grows, and he tells them to look at Stevie, he is sitting on his hands, his body language is classic – he’s hiding something. Brooks asks him what he is going to charge him with, bad posture? Chandler breaks in, saying that one of them is right, but their custody clock is running down. When Chandler leaves, Devlin insists to Brooks that he knows it’s him, but Brooks reminds him all they have is circumstantial evidence. Devlin is frustrated, he says he’s been that kid. Brooks suggests they go talk to Debbie, and check out Stevie’s alibi. At the dog track, Debbie tells them she had a cold, so she was home, Stevie was in the back watching dog races on the telly. Devlin notices a bruise on her arm, and asks what it is. She says it is not what it looks like. She tells him Stevie has a temper. When Brooks continues to question her, she says at about 10:00 she heard someone put the key in the lock. She knew Stevie was in, and when she opened the door, she saw some people running away, she does not know who they were, she just caught a glimpse. Back at their unit, they review what they know with Chandler. Chandler says it looks like Stevie was there all night, and Devlin moans they are back where they started. But Chandler says, “Oh ye of little faith” and brings up a camera view of Danny with one of the kids from Phoebe’s place, Andy, and the second boy there could be Jono. The video is from the same time the boys said they were at the cinema, and Chandler says since it looks like they were the last people to see Danny live to bring them in. With Jono in interrogation, clearly nervous, they tell him he was seen on CCTV standing next to Danny. But Jono tries to stick to his story, and Devlin tells him CCTV does not indicate they were there. Brooks asks him if he misses Danny and he says he wishes he were still here. He tries to get Jono to admit he is angry at who did it, and when Brooks asks him who did this, he tell him that since he is so clever, why doesn’t he tell him? Brooks then enters another room, where Andy is being held with Chandler, who says he is giving him the silent treatment. Brooks brought Andy some food. Chandler tries to work on him, reminding him the police have forensics, DNA and CCTV and she should tell the truth. She also tells him to tell the truth for Danny. Andy seems conflicted, also worried about Jono, and what if he knows he told them? Later, with a lawyer, Andy says Danny wanted some money so he and his mom could get a flat together. He said Stevie had a lot of music in the flat they could steal, but when they heard someone in there they ran off. He adds that Jono just loses it, and then pushed Danny over, blaming him for people being in the flat. Jono started smashing his face in, almost like he was trying to bust Danny open, Jono went mental. Later, outside, Devlin tells Brooks he needs a minute to get his head around what they just heard. Brooks gets a phone call from Alesha. We then see Jono waiting a in a room with a guard, and Devlin and Brooks come in, Brooks telling Jonothan Blake they are arresting him for murder. 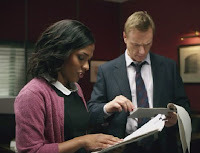 At the Crown Prosecution Service, Crown Prosecutors James Steel (Ben Daniels) and Alesha Phillips (Freema Agyeman) get a visit from Beatrice McArdle (Dervla Kirwan), who is an old flame from James’ defense days. She says Jono is innocent, he’s just a scared kid, and it was Andy who killed Danny because he is bigger, older, and stronger. Steel thinks he can poke holes in her defense saying it would take him two minutes to discredit her theory. Afterwards, talking with George Castle (Bill Paterson), Steel is concerned as McArdle’s defense is too simple; she is u to something. He tells him just because they did the “headboard shuffle” doesn’t mean Steel has any insight on to how she runs her defenses. Phillips looks on, amused. Castle tells him to triple check every fact. Steel tells Phillips to go back to the biological families to try to make sure that McArdle won’t spring any traps. At the detectives unit, Phillips brings Brooks a tasty snack. She asks him for information about Jono’s school, and Brooks realizes the tasty snack is a bribe. She wants him to interview all the kids at the school. Devlin is miffed Phillips didn’t bring him something to eat, and she tells him when you come in late, you miss things. At the home of Tracey Blake (Rebeka Staton), Phillips talks to her about Jono’s home life. Jono was taken away because she left him alone once to go for a drink and stayed out all night. T Phoebe’s, Phillips asked how Jono and Danny got along, she says they were closer than brothers. But she said Jono was a work in progress. She thinks they should not give up on Jono. Back at the Crown Prosecutor’s office, Phillips tells Castle and Steel that Phoebe and Tracey could almost be talking about two different boys when they talk about Jono. Castle notices Phillip’s concern for Jono, and she and Steel disagree on Jono. Castle says a line must be drawn on youth crime, and Steel says Danny’s mother would want justice for her son. At the trial of Crown v Blake, Steel tells Phillips that Judge Anderson agreed to hear the trial in private to keep the public and the press out. Jono is in the dock, barely able to see over the rail. Someone brings him something to sit on to raise him up. Later, on the stand, Andy recounts how he tried to stop Jono but it was like Jono was someone else. McArdle then asks him questions about his height and weight, and then only asks if he could beat Danny in a fight. On a later date in the trial, Jono is on the stand, describing about how he was taken away from his mother, but asked nothing else. Steel cross-examines, asking him about his history of a fight with Martin Taggart. Jono begins to get agitated, saying the fight was nothing. But Steel shows a video from a mobile phone of the incident. The jury seems appalled, but Jono remains silent. Back in court, McArdle states her case, speaking in very technical terms, basically saying Jono has a defective gene called a “warrior” gene, which can cause violent behavior, and Jono cannot control himself. She wants to put this in front of a jury, but Steel argues with her that there is no precedent. She cites a US case. Steel says he will fill the court with experts who will refute this, and the judge calls him on it, telling him to produce his experts. Outside the courtroom, Steel chases down McArdle, who says she thought for a second, Steel’s head was going to explode. Steel is incensed, saying she is making a mockery of the system. She wonders what he is so scared of, but he says it is unproven science, it could have wide effect on the court. At the Crown Prosecutor’s office, which seems in a frenzy, and Castle says that this is the legal system on the verge of a nervous breakdown. Steel wonders, what if McArdle is right? Castle tells her to make sure she’s not right and he wants Steel in that court, demolishing her. Phillips hands Steel a huge box of files, saying they will be drowning in paperwork if McArdle wins. But Castle says she should be happy, she‘s getting what she wanted, Jono has an excuse, everyone’s a victim now. Phillips gets miffed, saying she’ll be at her desk. Castle kicks a box into his office as his phone rings, and he is annoyed that he is getting more messages from the DPP, who will be expecting him to tell him the legal floodgates will not be opened and that he has his best people on it, so he expects Steel to go out and to win. In the office of Dr. Elizabeth Rawls (Nimmy March), at the psych evaluation of Jono Blake, she asks why he attacked Danny. He says he was just mental, and gets testy with Rawls. He says he killed him. Afterwards, Rawls tells Steel he was aware of his actions and the consequences. He is not insane. She also says genes are an element of a larger picture, all they give us is a predisposition, we still can make our own choices. When Steel presses her if Jono is responsible for his actions, she says yes. She adds she is not sure how Jono will deal with this second trial, considering all the public interest. At another location, it looks like a near riot is breaking out, people seem to be storming some sort of jail transport vehicle, banging and pounding on it, waving signs and yelling angrily. As the police try to control the crowd, Steel and Phillips, and Brooks and Devlin look on. Later, the trial continues. Dr. Rawls is testifying that the warrior gene would not comprise someone’s sense of right and wrong. McArdle tries to link other physical attributes that are passed on genetically to behavioral traits. Rawls says not enough people were tested to validate McArdle’s stance, to which McArdle says the issue then seems to be one of data collection, not of the theory. Outside the courtroom, Danny’s mother Mandy confronts McArdle and asks if she is proud of what she is doing. McArdle is stunned when Mandy thrashes at her, throwing McArdle’s papers all around, while Steel and Phillips look on. Security pulls her away, as she tells McArdle she is disgusting. Steel moves to help McArdle with her papers, she thanks him and rushes off. Back in court, Tracey Blake is testifying, saying since the day he was born she thought Jono was different. Steel cross-examines her, and asks her about if she disciplined her son. He asks if she ever showed affection, and she said she did, but she thought she was not a good enough mom. But now she knows with the gene stuff if would not have made a difference, that he is a monster. Steel looks over to Jono, and asks if that’s what she really thinks about her own son, and she answers that his genes are rotten. He asks how many months pregnant she is, and she says 7 months. He says that based on her belief in genes they should take that baby from her arms the second it’s born and lock it up. She loudly protests NO, and Steel presses, “Well, surely genetics dictates that your next child will be a monster, too.” But she says she won’t make the same mistakes she made with Jono; of course, this ruins the gene theory defense. In a bar, Steel is drinking and McArdle approaches, tapping his glass with hers. He tries to ignore her, but she sits down anyway. She asks if they are still talking, and says she is running a valid defense. He says he gave up defense because he couldn’t sleep at night. She says she remembers, and asks if he can sleep better now. He smiles, saying mostly. She can’t believe he still comes there, but he says he is a creature of habit. She asks how Ethan is doing, and he says he is in Scotland with his mom, it’s for the best. She tells him Jono wants to meet with him, she advised him against it, but they set it for 9:00 tomorrow in his office. At the meeting, Jono says his genes are messed up and she can’t fix them. He says he is a monster he was born that way. He’s a mistake. He killed Danny. Steel asked why he asked for the meeting, and he says he wants to go to prison, that is where he belongs. Afterwards, Steel reviews the events with Castle and Phillips, saying they helped to destroy Jono and now he believes he is worthless. Castle asks “Is Danny dead? Yes. Did Jono kill him? Yes. Has justice been served? Yes. The law is a blunt instrument but it is all we have.” He tells him to accept the plea. On the steps inside the courthouse, McArdle says to Steel that it was just a defense, she never thought Jono would believe it. Later, in holding, Steel visits Jono. Jono asks if he came for the last laugh, and Steel gives him a card with the name of Dr. Elizabeth Rawls. He said she is prepared to work with him and she can help him. Jono says he will always be a murderer. He says he is evil. Steel says that is too easy because it means that nobody else has to take responsibility. He is too young to be a lost cause, they can still help him if he will let them. Steel, still holding out the card, says “please.” Jono looks at him, then the card, and takes it. Steel leaves, and turns back to look at Jono, who looks back at him, as we fade to black. Okay I must ask, how are you able to watch these? You live in Ohio, right? How on earth are you able to watch them!?!?! I have been wanting to watch them but I can't find the episodes, so please share you secret!!! Same here, let us in on your secret! Matt I found the 1st episode on You Tube, so I bet that is where you can watch. Fantastic recap- so thorough!I'm loving it too. I think they did a really good job.I LOVE your site- I wandered here as I'm a massive Ben Daniels fan and think he's doing a terrific job as always.Just a quick note.....why do you even bother to mention his sexuality as something that might make you not believe his performance? I think that all actors have to pull off all things (not that i know anything about acting! )I think it's probably much harder to pull off being a lawyer or a policeman than having to pretend you're having a relationship with someone. I'm a woman and have always been convinced by Daniels in his many many straight roles---check out "Cutting It" where he slept with all the female characters!I hope you dont mind me saying this:)In fact I'm having a harder job believing that one of the members of the UK cast is working class than I am about Daniels sexuality! !I'm hoping this slight accent issue gets less noticeable in the coming weeks. It is no way hampering my enjoyment of this brilliant show I just find it a little jarring occasionally. Bethamy, I mentioned the sexuality issue because it came up in one or two other discussion forums - some people found that part of the story hard to believe and I was just trying to address the fact that a person's sexuality shouldn't matter - acting talent is acting talent. For example, Sean Penn just won an Oscar for playing a gay man - Sean is not gay - but that fact didn't seem to matter to people. It sould be the same way with how people perceive Ben in his character's life. He's just playing a role, and doing it well. Point taken and I totally agree.I also thought Sean Penn was amazing. So looking forward to Mondays ep!! Where can you find this episode if you live in the uk? I've looked on youtube, but i can only find episode one, not episode two. If you have any websites where i can view it, that would be appreciated. Thank you! The episodesd habe nee available for sale in the US and Canada on Amazon.com and iTunes - have you tried those sources? I believe Amazon sells the whole set and iTunes sells by the episode.